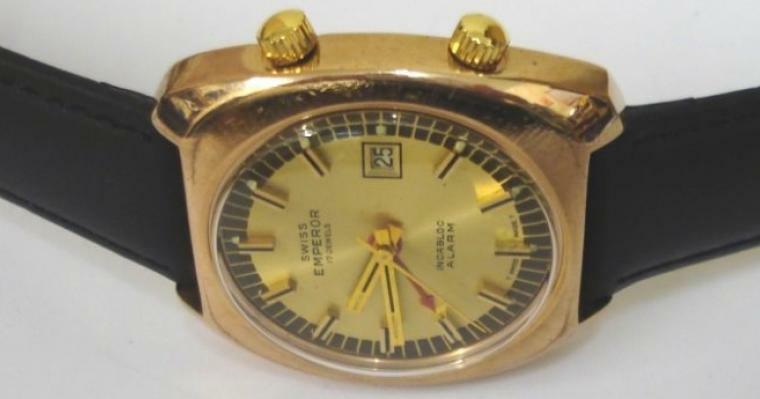 Stock Number: WWOM061 - Swiss Emperor Manual Wind Alarm Wrist Watch - £395. 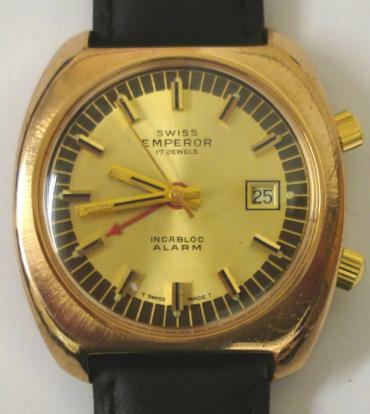 Swiss Emperor alarm wrist watch in a gold plated case with stainless steel back and secondary dust cover, on a black leather strap with gilt buckle. 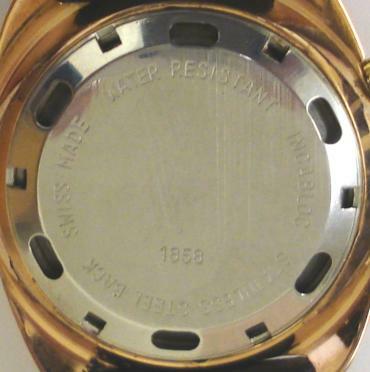 Gilt dial with black minute track and baton hour markers, gilt luminous insert hands and sweep seconds. 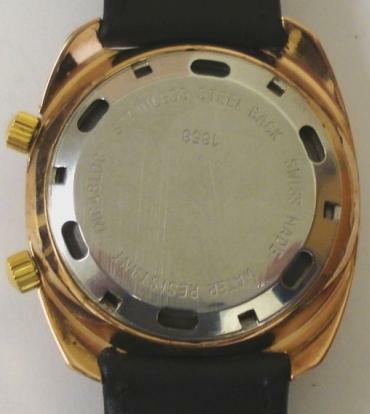 Red alarm pointer hand and date display at 3 o/c. 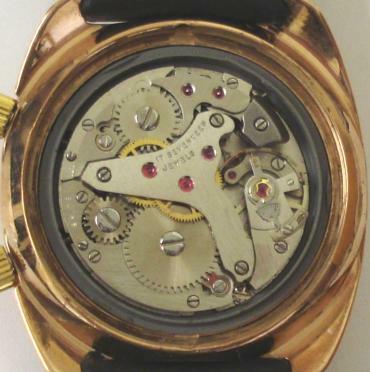 Swiss 17 jewel incabloc manual wind movement.